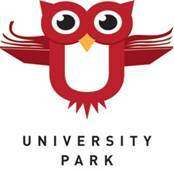 University Park and all DPS schools will be sharing important information about how we are supporting our KG-3rd students in becoming strong readers. Research shows reading on grade level in elementary school is one of the best ways to ensure students are on track to academic success. Every school district in Colorado is required by a state law, called the READ Act, to give state-approved reading tests to all students in kindergarten, first, second and third grades. This allows us to see if students are making progress toward the goal of reading on grade level by the end of the third grade. In accordance with the law, DPS schools use a number of state-approved tests, including DiBELS, iReady, Istation and STAR. Students take the test at least three times during the school year - at the beginning, middle and end - to check their progress. In addition to these required tests, teachers are watching closely to see how students are progressing in reading skills on a daily, weekly and monthly basis. Coming home today in Thursday folders (similar to the summary sheet at parent/teacher conferences) is updated information about your child and a parent help letter. Please feel free to reach out to your child's teacher for more information. Have you secured your babysitter for the 2018 Auction yet? Don't miss out on this fun way to support our school while connecting with parents, faculty, and the UPark community. The evening will include BBQ, games, a live and silent auction, as well as live bluegrass music performed by Scott Slay and the Rail! Scott Slay and the Rail is an Americana, Folk and Bluegrass band based in Denver, Colorado. This group combines bluegrass, country, folk, and traditional compositions to produce a modern sound. Their music is influenced by bands such as Punch Brothers, Nickel Creek, The Lonesome River Band, Mountain Heart, and Sam Bush. Come and see this "Bluegrass Powerhouse" at the 2018 Auction on Saturday, April 21st at the University of Denver before they take the stage at the Telluride Bluegrass Festival in June 2018. Tickets for the auction go on sale online and in the front office beginning March 1st. If you have any questions, please email Katie Fitz-Gerald and Becky MacDonald at auction@uparkelementary.org. Monday, February 12: Compliment Day - Find the "Compliment Wall" and leave someone a nice note! Thursday, February 15: Positive Notes Day- Be on the lookout for positive notes and pictures around the school! Friday, February 16: Random Acts of Kindness Day- What can YOU do to put a smile on someone's face? We hope these activities will continue to grow kindness in our community. Please join us Thursday, February 22nd at 5:30 for a screening and discussion of award-winning education documentary Most Likely to Succeed. Free babysitting will be provided for up to 30 current UPark students. Click here for more information. Heather Wise has the opportunity to increase the hours of her Gifted and Talented teaching position here at UPark so will be stepping away from her role as a math/content teacher in 4th grade. This change will start the 2018-2019 school year. UPark has a new fully staffed facilities team. Dominique Abeyta is our facilities manager and she is supported by Shampagne Padilla and Joseph Maes. Click here for Dominique's bio.